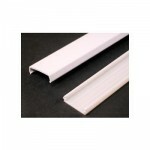 On Wall TV Installation with wires hidden in a decorative wire track molding. 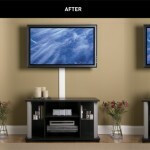 • Safely mount your Flat Screen TV on wall bracket. 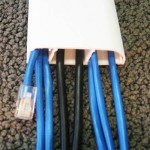 • Connect and Setup your DVD and Cable Box to the TV. • Remove packaging material and clean up. This TV installation is for Wall mounting your TV on any type of wall, Sheet Rock, Dry Wall, Brick Wall, Concrete Wall and smooth Stone Wall. 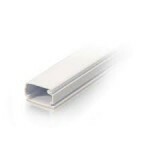 The Cables between the TV and your devices (cable box, DVD etc) will be concealed in 3/4in wide plastic wire cover that will be attached on the surface of the wall. 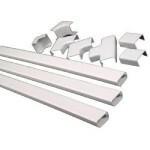 This Wire cover molding can then be painted over to match the color of your wall. An Electrical and cable outlet should be at the bottom of the wall. 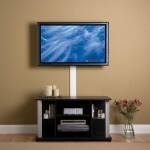 The devices like cable box, DVD, Blu-Ray etc should be placed on a stand right below the TV or on a wall mounted shelf. 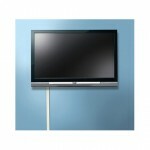 • TV Wall Mount Bracket that fits your TV.